A group of Irish participants enjoyed a tour of the historic John Adams Courthouse in Boston, MA, home to the Massachusetts Appeals Court as well as the Massachusetts Supreme Court. 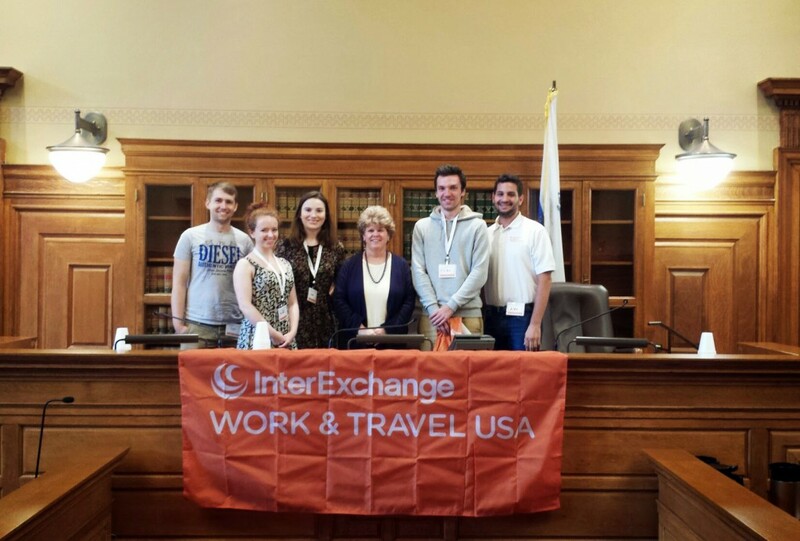 After the tour the group discussed the United States and Massachusetts Court systems with Associate Justice Sydney Hanlon in one of the many courtrooms. Justice Hanlon also spoke about her lifelong career in the Justice System including her time in United States Department of Justice's Office on Violence Against Women. Participants were grateful for the opportunity to learn more about the state they're calling home for the summer. They were also surprised to hear that Justice Hanlon had spoken at Trinity College, their university in Ireland!